Abin Kuriakose is a Project Manager on 270 Strategies’ engagement team. Prior to coming to 270 - Abin led, coordinated and developed technology, entrepreneurship and innovation strategies for the City of Chicago at World Business Chicago, the city’s public-private economic development partnership. Abin’s work focused on bridging the public-private gap to bring capital, talent and industry partnerships to the city’s rapidly-growing tech and innovation ecosystem. Prior to joining WBC, Abin served as Deputy Chief of Staff, Public Policy Director and Community Affairs and Engagement Director for the Cook County Illinois Board of Commissioners (Bridget Gainer - Tenth District). Cook County is the second largest county in the United States with 5.2 million residents and annual $5+ billion budget. His work included public policy development, legislative affairs and community engagement strategies to advance progressive policies like criminal justice reform, healthcare access, community development for neighborhoods devastated by the foreclosure crisis and youth employment. He also served as the Senior Advisor for the Chicago City Council Asian American Caucus and on the campaign leadership team for Congressman Raja Krishnamoorthi’s successful 2016 campaign. 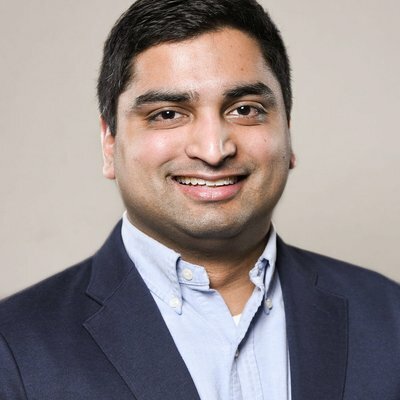 Abin is a Global Shaper of the World Economic Forum (WEF), serves on the board of directors of the Indo-American Democratic Organization/IADO (Illinois’ South Asian Progressive PAC) and the Civic Engagement Chair for New Leaders Council Chicago. Abin is a lifelong Chicagoan, born and raised in the city’s Albany Park neighborhood. He attended DePaul University’s Driehaus College of Business where he was recipient of the DePaul Scholar’s Award. He was also co-producer and co-host of “Politics 101” on Radio DePaul, the college station’s flagship non-music program. In 2018, he was selected as a Civic Leaders Academy (CLA) Fellow of the University of Chicago where he received his certificate in civic leadership. Abin was selected as one of “35 under 35 Leaders Making an Impact” by Chicago Scholars in 2017 and finalist of the “Shaping My City’s Future” Challenge by the World Economic Forum where he presented on inclusive entrepreneurship strategies at WEF’s global headquarters in Geneva, Switzerland. In his free time, he enjoys reading, mentoring students at UChicago’s Harris School of Public Policy, catching up on his podcasts, going to Chicago Cubs games, and exploring the intersection of tech, public policy and politics.